The state space explosion problem is among the largest impediments to the performance of any model checker. Modelling languages for compositional systems contribute to this problem by placing each instruction of an instruction sequence onto a dedicated transition, giving concurrent processes opportunities to interleave after every instruction. Users wishing to avoid the excessive number of interleavings caused by this default can choose to explicitly declare instruction sequences as atomic, which however requires careful considerations regarding the impact this might have on the model as well as on the properties that are to be checked. 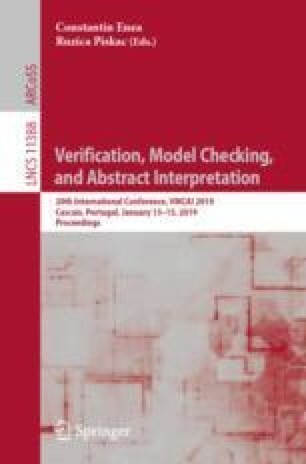 We instead propose a preprocessing technique that automatically identifies instruction sequences that can safely be considered atomic. This is done in the context of concurrent variable-decorated Markov Decision Processes. Our approach is compatible with any off-the-shelf probabilistic model checker. We prove that our transformation preserves maximal reachability probabilities and present case studies to illustrate its usefulness. This work is partly supported by the DFG as part of CRC 248 (see perspicuous-computing.science) and by the ERC Advanced Investigators Grant 695614 (POWVER).